This heavily illustrated manual provides a timely, in-depth review of the art of sniping in war and antiterrorist environments. 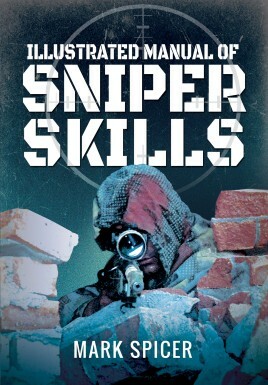 Drawing on a vast, firsthand knowledge of sniper skills, former British Army sniper and sniper instructor Mark Spicer describes the role of the sniper in peace and in war, in reconnaissance and counter-surveillance, in cities, in vehicles, at night and by day. He presents crucial information about training and equipment, judgment and positioning, details of great relevance to professional marksmen, both military and law enforcement. This comprehensive manual will also be of interest to hunters, weapons enthusiasts, competition shooters, and paintball participants. The book is complimented by 280 full color illustrations, diagrams, and related information. Mark Spicer is a foremost sniper instructor who has trained snipers of many of the world’s military and paramilitary forces, including the US Marine Corps and Britain’s SAS. He was the expert witness during the ‘Washington Beltway Sniper’ trials, and also writes and broadcasts on the art of sniping in war and antiterrorist environments.